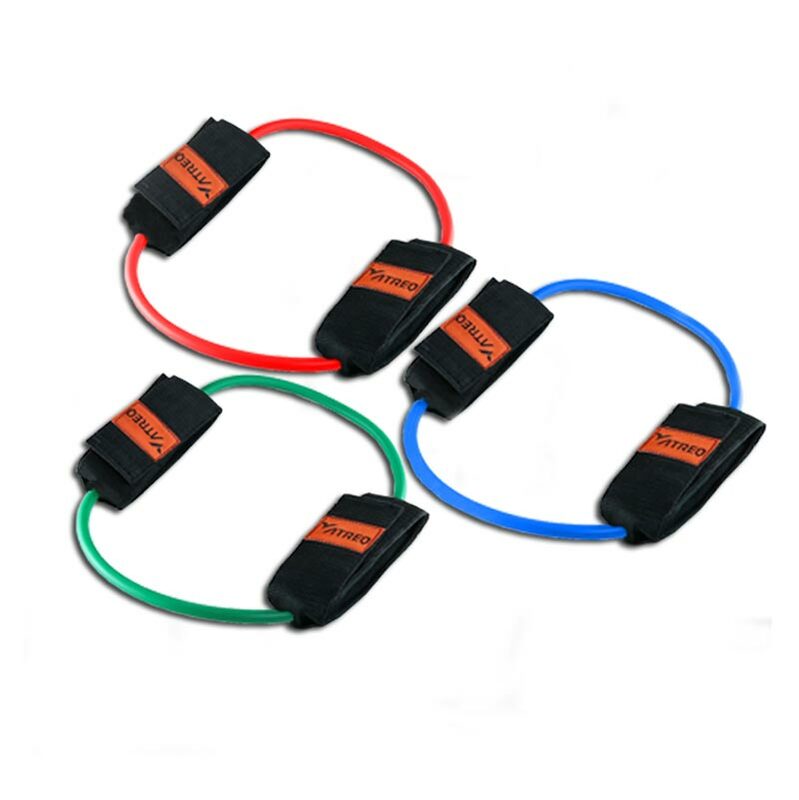 ATREQ Ankle Cuffs strengthen and tone all the lower body muscles including inner/outer thighs, glutes, quads and hamstrings through forward, backward, side-to-side and diagonal movement activities. Each colour offers different levels of resistance. Start with the lowest (green) level of resistance and build sets and repetitions gradually, once the exercises become too easy, move on to the next level of ankle cuff. 1 x ATREQ Ankle Light Resistance Cuff. 1 x ATREQ Ankle Medium Resistance Cuff. 1 x ATREQ Ankle Heavy Resistance Cuff. ATREQ CUFF Green – Light Resistance. ATREQ CUFF Red – Medium Resistance. ATREQ CUFF Blue – High Resistance. Quality 100% natural latex construction. Lightweight, great for travel and easy to store.